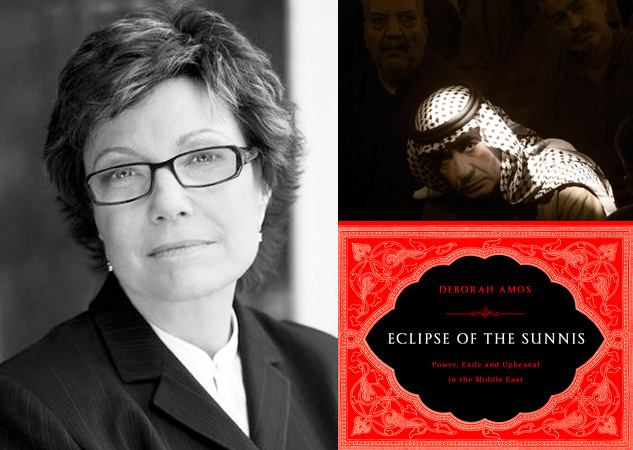 Only four years after its publication and a drastically changed landscape, reading Deborah Amos’ “Eclipse of the Sunnis, Power, Exile and Upheaval in the Middle East,” will give readers a chilling sense of futility towards the impending signs of violence that politicians either conveniently overlooked or malevolently exaggerated to their advantage. With the American Occupation of Iraq, Amos, an award winning journalist, has set off to record the “the mass departure” of Iraqis to Damascus, Amman and Beirut. For each destination, she juxtaposes the political machinations behind the public rhetoric with a compilation of personal stories whose tragedies directly result from these power shifts. In her travels, Amos experiences some of her own close calls with militias, yet they do not blind her to American complicity in this widespread human tragedy. Witnessing the brain drain in Iraq that has only further crippled the country, Amos poses the question of how a country can possibly build a democracy when the middle class — predominately Sunnis — has gone into exile? In Damascus, she meets with an Iraqi theater troop who re-establishes itself selling nostalgic dramas, and political commentaries on home, to fellow exiles and television viewers left behind in Iraq. She hears the stories of “the oldest community in Iraq,” the Christians, who largely supported the Americans before becoming the first targets of sectarian violence after the fall of Hussein. The author gives a short history of the political maneuvering between Syria, Iran, Iraq and the United States. While Bush accused Bashar al Assad of aiding the Iraq insurgency, Bashar gained popular support at home for his hard stance against the Americans in Iraq. Yet, as this occurred, U.S. and Assad intelligence sources continued to share information on the fight against terrorism. Amos continuously connects the complex political divisions with human costs that extend beyond death and destruction into the fabric of the family. In one fascinating chapter, she spends time with Iraqi prostitutes in Damascus finding that these former middle class professional women have made some difficult decisions to survive exile. While one may not always agree with her perception of the Sunni-Shiite divide, “Eclipse of the Sunnis” certainly brings attention to a large diaspora that will have to be recognized in order to achieve any lasting stability in Iraq andin the region as a whole. Although the military violence has escalated drastically since Amos’ reportage, her narrative continues to shed historical and personal light on the current carnage.